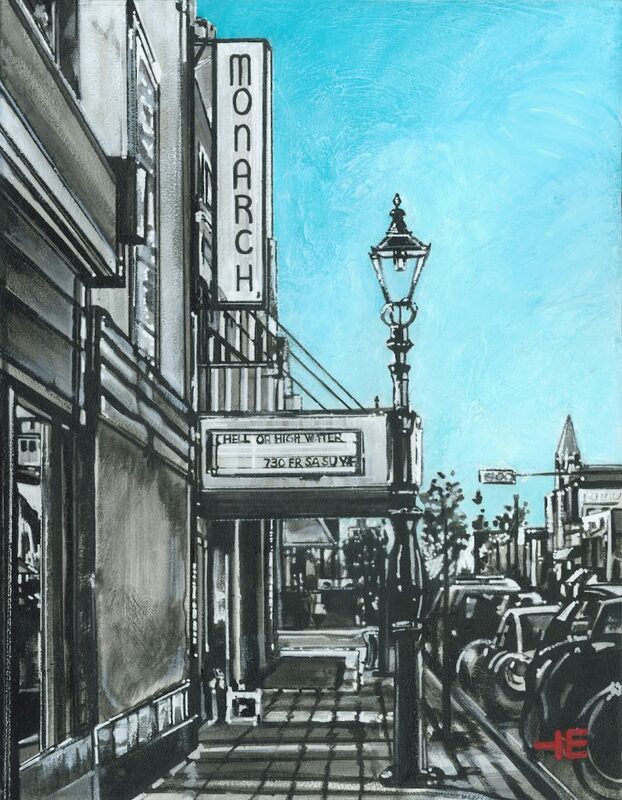 I had painted the theatre’s old marquee and thought it was about time to paint the newly renovated one put up about three years ago. It’s not as majestic as the old sign, simply a streamlined version. I loved the message on the sign, “Hell or high water”. It was a reminder of Medicine Hat’s last great flood.